Ideal for students and percussion enthusiasts the shells are constructed of hand-selected aged Siam Oak wood and finished with a super high gloss. 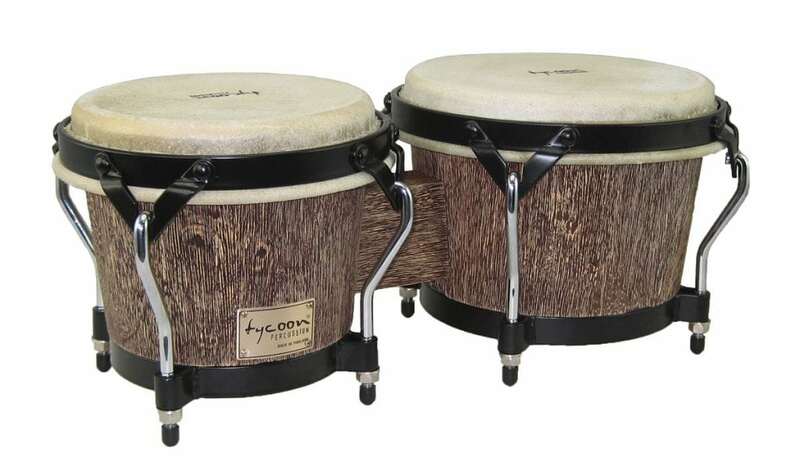 These bongos feature black powder-coated Classic-Pro hoops and large 5/16 inch. diameter tuning lugs. Water buffalo skin heads allow for crisp tones and superb response. Tuning wrench included.